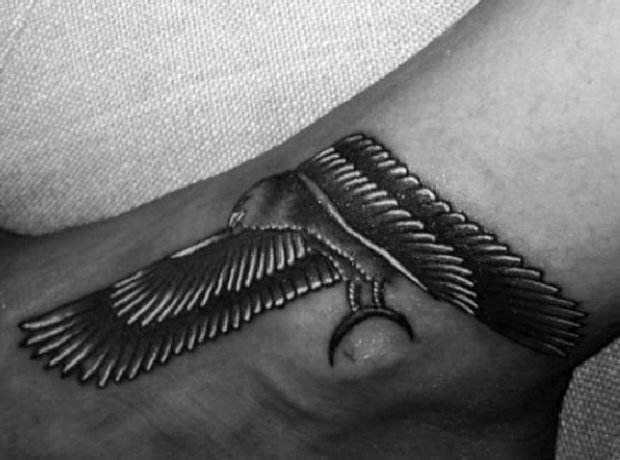 The falcon on her ankle. 9. The falcon on her ankle. Rihanna's gun-shaped falcon tattoo was inspired by a 2,300-year-old faience falcon that is on display at the Metropolitan Museum of Art in New York City. Inked once again by Bang Bang, Ri used design to cover up her first ever tattoo, a pair of music notes.